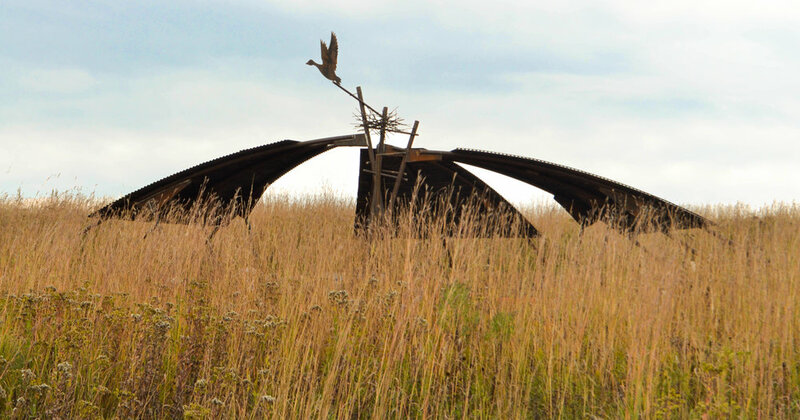 Goose Pond Sanctuary is now home to Wingspan, a beautiful observation platform overlooking the wildlife and flora of Goose Pond and the surrounding Bicentennial Prairie. Wingspan will be completed in late October and opened to the public for an Open House on Sunday, October 29. Bring your friends, your family, and your hiking boots to explore the beautiful landscape, peek through the spotting scopes at local wildlife, and take a rest under the wings of Wingspan. Free, family-friendly, and open to the public.